The Easy Wallet sewing pattern is a set of patterns and instructions for a simple wallet in three sizes. These wallets would be great for brand new sewers. All you need is a little fabric, a little velcro and a little time. The smaller wallet is perfect for holding a pair of earbuds, keeping them tangle-free and clean when tossed into a purse or backpack. There are 2 patterns for the iPhone/iPod touch, one for the 4th generation and one for the 5th generation. iPhone/iPod touch 4 wallet – Final measurements are 3″x5.5″. iPhone 5 wallet – Final measurements are 3″x6.25″. The largest wallet is for your purse. It is the size of the dollar bill. The pattern includes pattern sheets and instructions for all sizes of wallets. There are photos to illustrate the steps required to make the wallet. This is such a quick sew and doesn’t take much fabric at all. 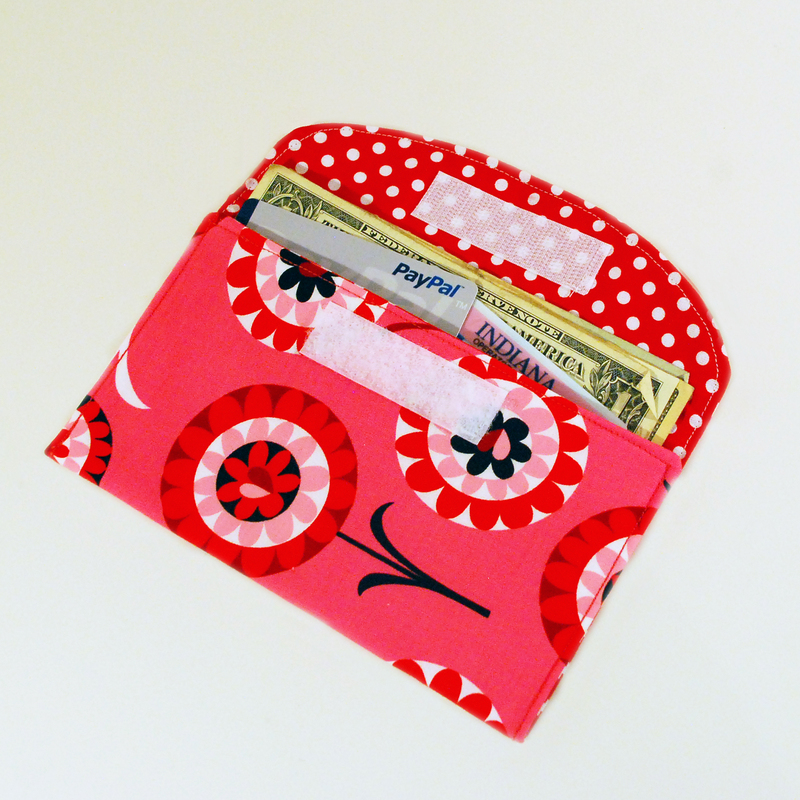 The Easy Wallet pattern is available in PDF form in my Etsy shop .